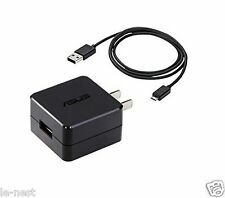 OEM ASUS 18W Fast Wall/Travel Charger with Type - C USB CABLE for ZenFone 3/Zenpad Z10/ ZT500KL/LG G5/G6/Galaxy S8/S8 /Tab S3 ---ASUS 18W Fast Power Adapter with TYPE C USB and Universal Stylus ---Made for ASUS Compatible Model:ZenFone 3 / ZenFone 3 Deluxe / ZenFone 3 Ultra/Zenpad Z10/ ZT500KL Tablet ---Also Work's with: TYPE C:Works With: Galaxy S8,S8 Plus ,Tab S3,LG G5,LG G6,Nexus 6P, Nexus 5X, Pixel C, Lumia 950/ 950XL, Nokia N1, 3, Motorola Z Force ---Part#AD2068320 (0A001-00502000) 629B00MFK ---Inputs:100-240V, 50/60HZ 0.5A..Outputs:DC5 V / 2 A USB Charging : DC9 V / 2 A.
Asus Notebook M Series M80TA. Asus Notebook T Series T100TA. Asus Pad VivoTab M81C VivoTab 8. Asus Pad VivoTab M80TA VivoTab Note 8. Trending at $11.24eBay determines this price through a machine learned model of the product's sale prices within the last 90 days. Transfer the data from PC to Tablet or from Tablet to PC. High data transfer speed (USB 3.0). Interface: USB 3.0, 40Pin Data Port. Connect the Cable to your EEEpad and connect the USB side to PC or laptop. 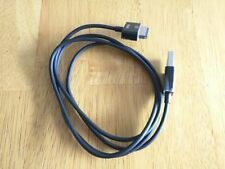 Cable Interface Type: USB Type-C. 1 x USB Type-C Data Cable. For Huawei Honor 8. For Huawei Honor Note 8. For Huawei Honor V8. Cable length: 1M / 3ft. Compatible with all USB Type-C phones. For Cool cool1. Book T100 T100ta T100taf T100tal T100tam. Model: AD2052320 (adapter model number). Cord length approx. Transfer the data from PC to Tablet or from Tablet to PC. 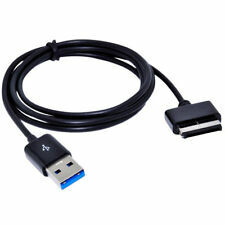 USB Cable Features High data transfer speed (USB 3.0). Interface: USB 3.0, 40Pin Data Port. 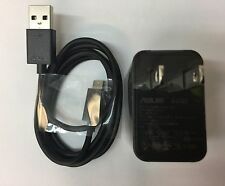 Connect the Cable to your EEEpad and connect the USB side to PC or laptop. 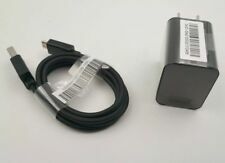 NEW Original Asus Micro USB Cable as shown in the pictures. Part # 0A001-00101000, AD8273, 0A001-00101500, 0A001-00101600, or 0A001-00101100. Works with TF101 TF201 TF300 TF300T. Item is used and may have scuffs, scratches or signs of wear. Look at pictures for more details. Item has been fully tested, inspected and is in good working condition. Acer Iconia Tab A200 A100 A501 A500 Android OS. To Replace and Compatible Model Number/Part Number. Trending at $11.92eBay determines this price through a machine learned model of the product's sale prices within the last 90 days. 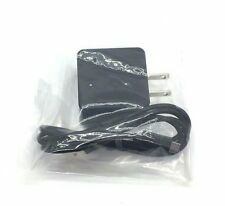 The Official Nexus 7 Adapter, made by ASUS. 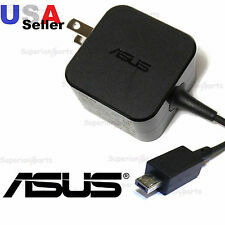 Official Nexus 7 Adapter, made by ASUS. Works on the New Nexus 7 FHD. 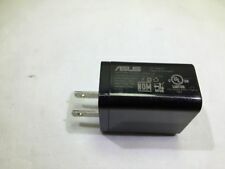 Genuine ASUS Ac adapter Model: W12-010N3A. For Book T100 T100ta T100taf T100tal T100tam. Asus Zenbook UX32A Series. Ours is 4.0mm x 1.35mm. Asus ZenBookUX21A Series. Asus ZenBookUX31A Series. For Asus VivoBook: S200 S200E S201 Q200E X201E X202E. UNBEATABLE VALUE. iPhone 8 Cases. Phone Batteries. 5x ASUS USB Micro USB Data Cable. 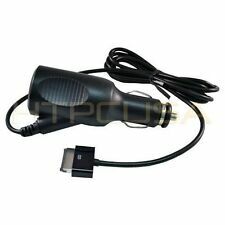 Cable Interface Type: Micro USB. Cable length: 0.16M. Color: White.